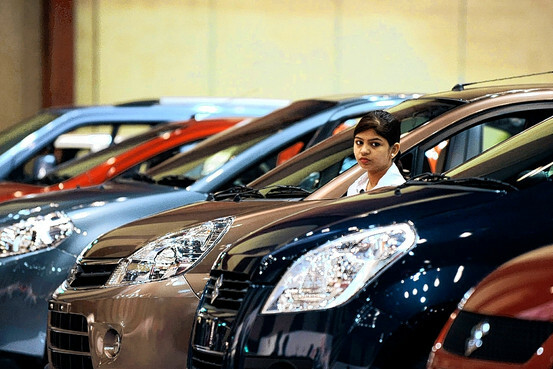 The reports that are doing the rounds in the market place is with regards to India’s largest auto car maker Maruti Suzuki’s plan to overhaul its distribution strategy, which will enable them to reach more customers with competition getting stiffer and stiffer. According to grapevine, Maruti has purchased prime properties in metros across the country to undertake building of upmarket showrooms. This will ensure in capturing footfalls of cash-rich buyers, signaling a huge change in its previously conventional distribution strategy, in the gloomy scenario where it is losing market share. It is overheard that Maruti Suzuki India ltd has spent whopping Rs 50-60 crores each to buy these properties in upmarket locations like Indraprastha in central Delhi and Lokhandwala in Mumbai’s Andheri. Location such as the Lokhandwala have evolved as a shopping hot spot, housing luxury car showrooms and glitzy malls. Maruti has plans to buy another 12 such prime properties across the metros also it has already built trendy outlets on 5 of its owned properties and handed them over to dealers. This is a major shift in the traditional model where Maruti use to outsource the distribution to franchisee. The company’s lifestyle products like the sports products, apparels, baggage, car miniatures and other branded stuff will also be showcased to provide a premium look. The plan is to bring uniformity to the look of Maruti’s showrooms across the country which numbers around 890 outlets. The desire to upgrade from a small car manufacturer into a big sedan player seems to be the root cause of the changes in the distribution pattern. Maruti Suzuki Kizashi which is scheduled for launch next month, priced in the band of Rs 14-16 lakhs, will be pitted against Toyota Corolla, Honda Civic and Skoda Laura. The launch of R3 which is mulled by the end of this year is a part of the company’s plan to enter in to the MUV segment, which in current market is 18 percent.